There are always opportunities to get involved in our organisations! Find out about our recent and upcoming events here. This event is aimed at Year 10 and Year 11 students who meet ‘widening participation’ criteria (see the application form for more information) and is designed to provide them with an opportunity to meet healthcare staff, take part in practical activities and learn about educational courses that are on offer in local Colleges and Universities. Attendees at the event will explore a fictional patient’s journey from admission to hospital, through treatment in a hospital setting and then beyond discharge into community support and care. The event is free to attend and lunch and refreshments will be provided for free throughout the day. 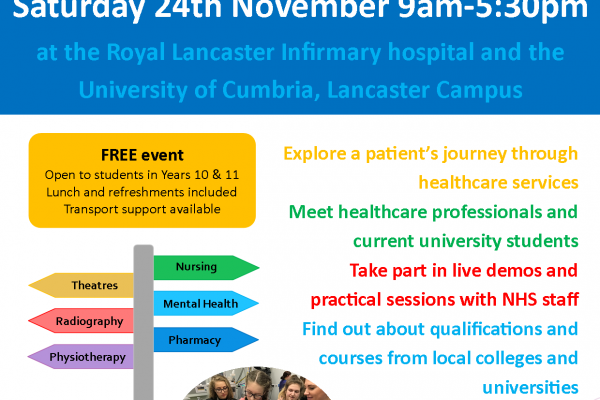 This event should not be missed if you are considering a future career in health! 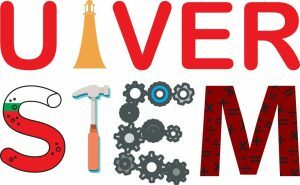 UlverSTEM is a free event that is taking place in the Coronation Hall in Ulverston on Saturday 10th November from 10am – 3pm. It is an opportunity for young people (aged 6 – 16) and their families to learn more about Science, Technology, Engineering and Maths and to discover a range of careers in which they could apply their skills in these subjects. There will be live activities, fun demonstrations and competitions run by businesses and organisations in order to promote STEM subjects and show ways in which they are used and applied in the world of work. Students will also have the chance to try out aptitude tests and virtual reality experiences. The interactive event is a collaboration between a number of prominent local companies including Oxley, Siemens, GSK Ulverston, FETL, Bender UK, LA12 and Ulverston Community Enterprises. As well as these technological companies, a number of other industries will be showcased including the NHS, local GP surgeries and a range of Colleges and Universities. We are recruiting NHS Ambassadors! We are very excited to be recruiting NHS Ambassadors from our local Colleges and Universities! If you are currently studying any course at college or university, and you have an interest in a future career in the NHS, then we want to hear from you! 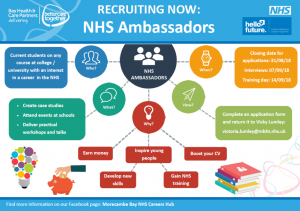 Our NHS Ambassadors programme is a fantastic way to earn money throughout term-time, to gain valuable skills, to meet NHS staff and to inspire secondary students across our communities. NHS Ambassadors will be paid throughout term-time to represent their college/uni and the NHS at local events where they will deliver fun, interactive sessions to inspire young people to consider further education and careers in the NHS! Lancashire Care’s pledge to provide opportunities for Military Veterans seeking employment! 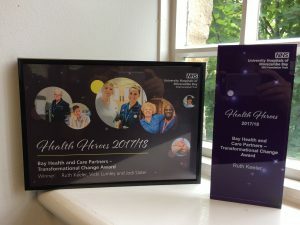 The Careers & Engagement Hub have won the Bay Health & Care Partners – Transformational Change Award at the 2017/18 Health Heroes awards ceremony! This award recognises the impact that the Hub’s projects are having across North Lancashire and South Cumbria; in particular the pre-employment programmes that the team have been running in order to support unemployed adults into jobs in the health and care sectors.